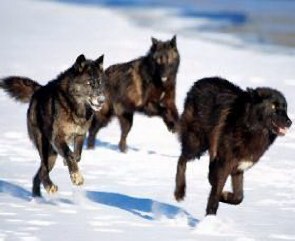 "The challenge of the 1990s was to restore the wolf; the challenge of the coming decade is to find an acceptable way for wolves and humans to coexist." My hope is that those who are serious about wolf recovery will find this site a valuable resource. resources available (plus 34 online resources, which are external links to articles available elsewhere on the worldwide web.) New additions are continually being made. Additions made in the past 60 days are listed below.